OM Flippin’ G! Zabar’s Coffee!!! – Partly Robot's Funtime Blogotrope! OM Flippin’ G! 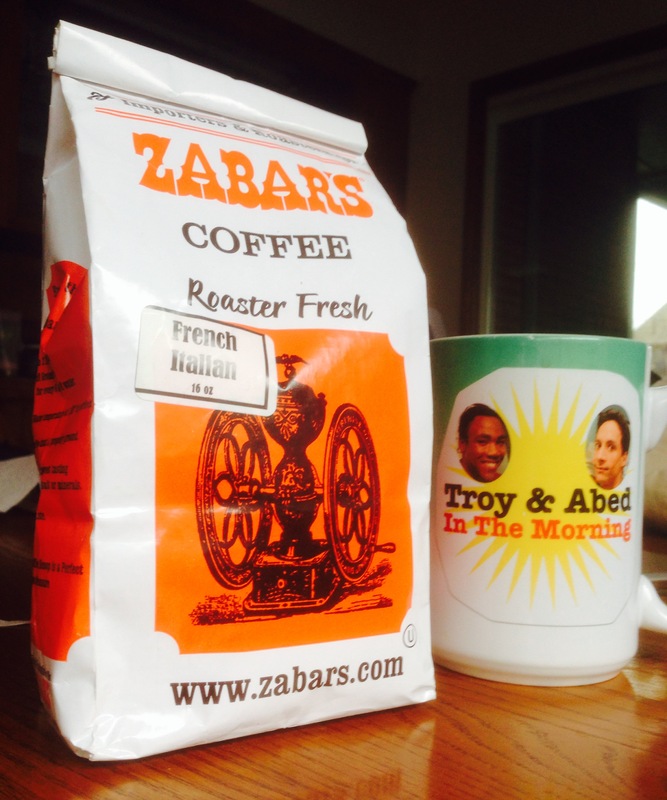 Zabar’s Coffee!!! I wrote a much longer review, but my computer barfed on me and I lost it. Okay. Technically, I forgot to save my work, and then the battery was almost dead. And then it was dead. I’m old enough to know better. I know. Still, I’d like to think that it’s the computer’s fault. It’s good to otherize blame. Ever since Leviticus we have been transferring our sins to goats and letting them loose in the wilderness. My computer is my goat. The kitchen table is my wilderness. The 21st Century is my broken metaphor. The important thing here, and this is the crucial point that I had almost reached in my earlier, more lengthy, and even more meandering review… the important thing is this: Zabar’s makes a damn fine cup of coffee.